Recycling is an important issue in Perth, so you need to keep it in mind when you are organizing rubbish removals during or after an event. It’s important to figure out the types of trash that will be produced, so that you can provide the relevant receptacles for it. For instance, if you are holding an event where people will only be drinking beer out of cans, you only need to get one type of rubbish bin. However, if there will be a mixture of both recyclable and non-recyclable material, it would be wise to get rubbish bins for both. Make sure that they are clearly labelled, so that rubbish can be deposited in the right receptacles. This goes a long way in making sure that the environment is protected. In many cases, it is important to involve professionals who do junk removal in Perth. 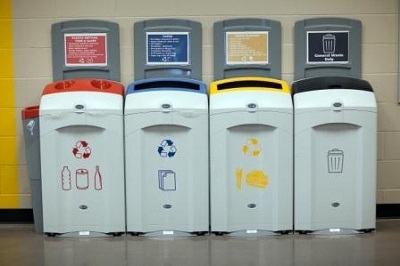 This is particularly important since sometimes, the process of deciding how to handle the trash can be complicated. Letting the professionals handle it leaves you free to attend to other issues. For instance, you may find that the rubbish will need to be removed from the venue multiple times during the event. In such cases, the junk removal firm will figure out how to do this as unobtrusively as possible, so that your event can go on smoothly. Remember, the presence of rubbish all over the place during an event will likely reduce the quality of the event. Keeping the venue clean contributes to making sure that the event goes on as planned. The placement of rubbish bins at an event venue should definitely not be random. It should ideally be strategic, taking into account the locations in which the patrons will most likely need the bins. For instance, if you have a catering area, you can have bins for biodegradable trash, glass bottles and other types of trash nearby. This way, they will not need to keep looking for the bins when they need them most, which is inconvenient. Placement of rubbish bins at the right locations will encourage the use of the bins. If people have a hard time finding a place to deposit their rubbish, they are most likely to simply dump it on the ground. The kind of strategy to use when deciding to place the rubbish bins depends on the kind of event you have, as well as its duration. Working with professionals will help, since they can help you decide on how to do this easily. These are just some of the things you ought to think about when planning an event, and think that a lot of trash will be produced. Making early plans to handle the trash is important; it will reduce the amount of work you will need to do after the event in order to keep it clean. It’s also good for the environment as well. Typically, having a professional firm handle this process is usually the best way to go. Our rubbish removal services are available on weekdays from 7:00 am to 6:00 pm. Also available on weekends and public holidays, if required. Phone now for a quote 0414434257. © 2019 Swann Rubbish. All Rights Reserved.